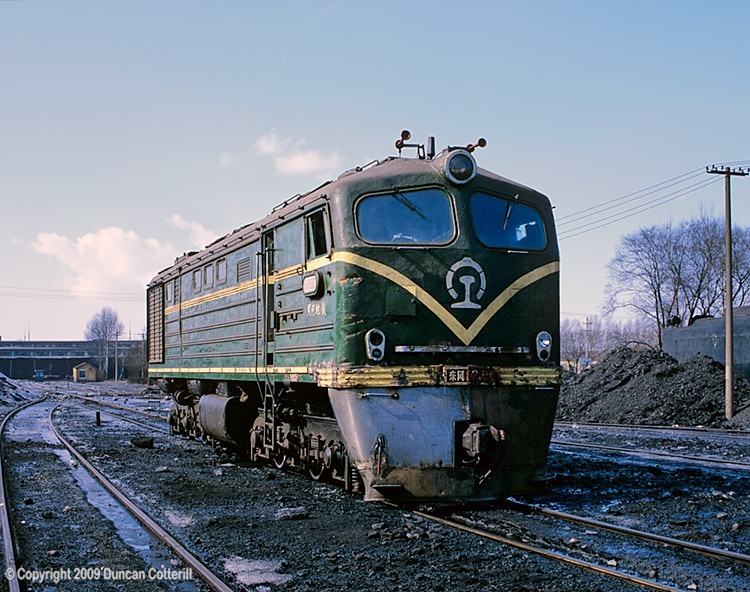 DF 8907 was stabled at Bei'an depot at lunchtime on 16 March 1999. Its number falls outside the normally accepted range of DF 1201 to around DF 1900 (or 2100 if regeared DF3s were renumbered) and may represent the date of refurbishment. The cast plate on the cab front reads DF 1285, which is probably the loco's true identity. Early DFs were built with the 2-window cab seen here. Later examples were fitted with a more streamlined 3-window cab.